Lifting Equipment Bearings - Luoyang Huigong Bearing Technology Co., Ltd. The bearings for the tower cranes,which are wide applicated on ports and ships,usually are four- point ball slewing bearings and 3-row combination roller slewing bearings in large size or mega size. Relatively, the work conditions for such cranes are tougher, requiring bearings with better adaptability against salt and moisture corrosion. 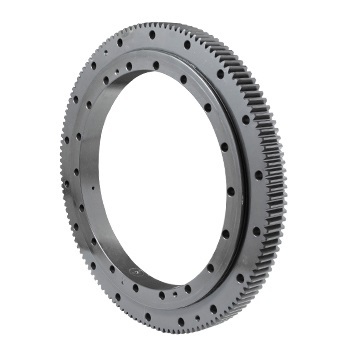 In addition, they need to withstand extreme axial load and overturning moment in harsh marine environments. Therefore, to improve product safety and reliability is a critical issue for CHG.
CHG customized the design and adopted the fine processing solution. Application of edge seal technology, special grease and corrosion-resistant surface satisfied and fulfilled the requirements to tower crane bearings.